It’s Safe. Marijuana is 114 times less dangerous than alcohol, has very low rates of addiction, and you cannot overdose from it. Health benefits. Unlike alcohol (and many foods we eat), marijuana has many proven and unique health benefits. Additionally, many people (i.e. vets with VA benefits) do not currently qualify to be a medical marijuana patient, therefore, legalization is the only way to allow them access. Legalization will allow scientific research. Because marijuana prohibition started in the 1930’s, we need more scientific research so we can make decisions based on facts instead of propaganda. Serious scientific research and clinical trials cannot be done until marijuana is legalized. The current approach is not working. The war on drugs has been an absolute failure. Arresting and incarcerating people for using marijuana does far more harm to the person/family/society than good. Not to mention the wasted law enforcement resources. Regulation works. Since legalization in Colorado in 2014, DUIs are down 19%, opioid abuse is down, crime has dropped, and over $60 million in new taxes has been used to build new schools. More Coloradans, including those who support legalization today than when the measure passed four years ago. It’s actually working! Legalization doesn’t increase use among youth. Colorado has shown that legalization does not lead to increased use among youth. In fact, it has dropped. In 2009, 25% of high school age kids in Colorado reported using marijuana within the previous 30 days. After legalization, that number dropped to 22% in 2015, and then to 19% in 2016 (20,000 fewer kids than 2009). The national average in the US is 22%. Regulation takes drugs out of the black market and into the legal framework, which leads to lower usage among youth. Cannabis is not a gateway. The idea that marijuana is a “gateway drug” has been definitively debunked. Illegal drug dealers ARE gateways to all sorts of illicit and dangerous drugs. The way to reduce access to harmful drugs is by putting drugs dealers (including cartels) out of business and educating our young people about the dangers of all substance abuse. The risk to children is extremely low. Despite misleading claims in recent ads, there have been very few incidents of accidental ingestion in Colorado. In fact, in 2014, there were only 45 reports of accidental marijuana ingestion among children (again, not lethal) while at the same time there were 1422 cases of accidental ingestion of cleaning supplies (very lethal). While protecting children is something we all agree with, the actual scale of this problem is very small (3% of cleaning supply poisoning). Furthermore, Question 2 requires all cannabis products to be sold in child-proof packaging. Gummy bears (all edibles that look like animals, fruit, humans or appeal to children) and similar candies are illegal in Colorado and will also be banned in Nevada. Good economics. Question 2 will create over 6,200 jobs annually and will generate tens of millions of much needed funding for education. Unlike Colorado, ALL of the tax proceeds generated from Question 2 will go to Nevada’s K-12 education budget. Personal freedom. Being in support of a personal freedom like responsible cannabis use does not equate to encouraging marijuana use. For example, as you know, I personally choose not to drink alcohol. However, I don’t think anything is wrong with adults who have a glass of beer or wine. All adults should have the personal freedom to make that decision for themselves. A recent Pew Research poll found that 57% of Americans support legalization and 80% support medical marijuana. Most people agree that cannabis just isn’t that bad and it makes absolutely no sense that products like alcohol are legal and marijuana is not. It’s time for a new approach! 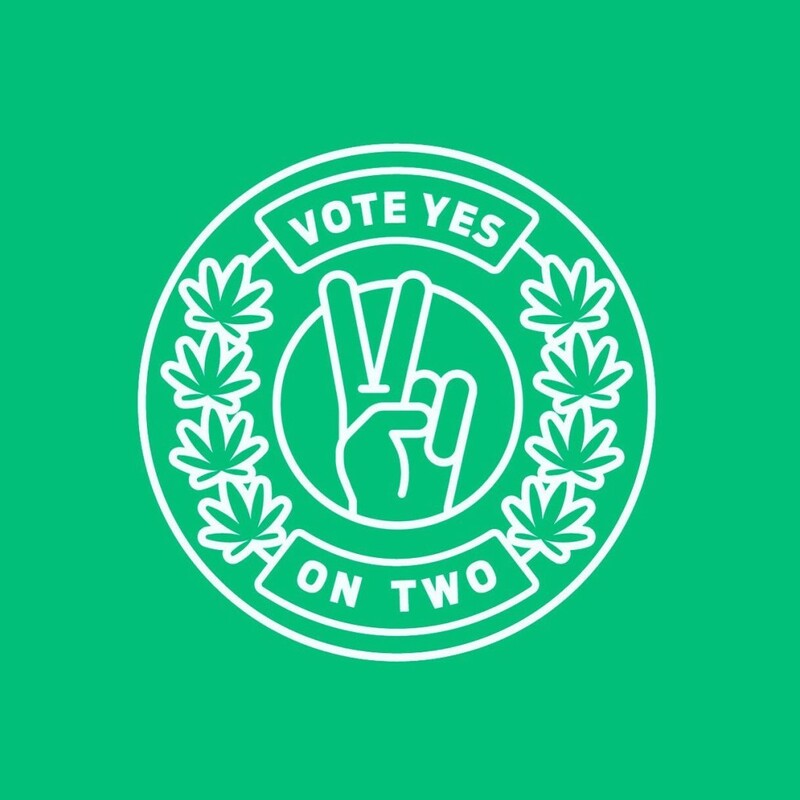 Please join me and VOTE YES ON QUESTION 2!